It’s been nearly forty years since the iconic television show The Love Boat went on the air and introduced viewers to modern day cruising and, in the process, made Princess Cruises and its ships synonymous with vacations at sea. 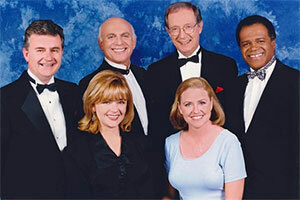 As Princess prepares to celebrate its milestone 50th anniversary year in 2015, the company is honoring the role that The Love Boat played in its history by selecting the original Love Boat cast members to serve as godparents for its new cruise ship Regal Princess. All six Love Boat cast members – who played the roles of Captain Stubing,i – will reunite to christen the new ship on November 5 in Fort Lauderdale. The pilot episode of The Love Boat, shot aboard Princess’ 730-passenger original Sun Princess in 1977, began the relationship between Princess Cruises and the show, which for ten seasons eventually became one of the highest rated and longest-running shows on television. The Pacific Princess and Island Princess were the primary floating stars of the show, while later episodes and specials were filmed aboard many of Princess’ other cruise ships in destinations around the globe. The 3,560-guest Regal Princess, which entered service in May of this year, is arriving in Fort Lauderdale to begin her maiden season of Caribbean cruise vacations. Among the special features found on board is a dramatic multi-story atrium serving as the social hub of the ship, offering a host of dining and entertainment options; an over-water SeaWalk, a top-deck glass-bottomed walkway extending 28 feet beyond the edge of the ship; plush private poolside cabanas that appear to be floating on water; the Princess Live! television studio; the largest pastry shop at sea; a special Chef’s Table Lumiere, a private dining experience that surrounds diners in a curtain of light; and balconies on all outside staterooms. “The ship’s naming ceremony is just the beginning of the celebrations that will mark our company’s golden anniversary,” said Swartz. She added that beyond the Regal Princess festivities, guests sailing on any of the line’s fleet of 18 cruise ships during 2015 will enjoy a wide range of anniversary experiences. Additional information about Regal Princess’ inaugural Caribbean season is available through a professional travel agent, by calling 1-800-PRINCESS (1-800-774-6237), or by visiting the company’s website at http://www.princess.com.